e-GMAT’s GMAT Live Prep brings together the world’s most advanced learning technologies and the world’s top most instructors to deliver a learning experience that goes above and beyond anything that you may have experienced in a physical classroom. You will never go back to a physical classroom once you experience our online classroom. 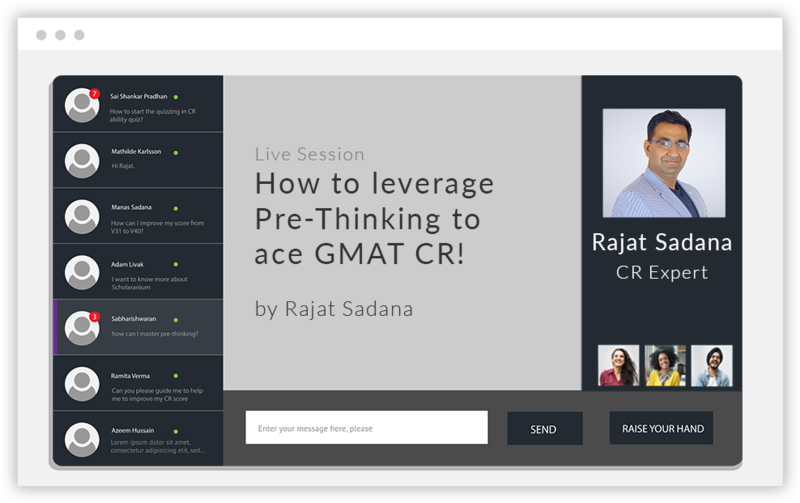 With amazingly interactive concept files, tons of practice questions, a quizzing system that can actively gauge your preparation, a neural-network powered tutor engine, and loads of live sessions led by the world’s best instructors, GMAT Live Prep is 4X more interactive than any other course out there. Through tools used in the classroom, the instructor can identify the areas you are faltering in and also the reasons for the same. This enables the instructor to provide specific feedback to you so that you can improve faster and ace the GMAT. Think that an online classroom is boring? Think again. In our online classrooms, you will ask questions, think about scenarios, cross question the instructor and through these interactions take your understanding to a level that you cannot think of in a physical classroom. Our instructors are leaders in their fields, know the subjects inside out, and are dedicated full time to helping you succeed. It is no wonder that they are rated the best. In every class, you will experience their passion to share their knowledge and to help you succeed. e-GMAT hires the brightest individuals with unparalleled achievements and trains them rigorously to ensure that the world-class methodology of e-GMAT is imparted to you in the most effective fashion. It is not a coincidence that four out of the five Top Rated Instructors on GMAT Club belong to e-GMAT. Our students love our live sessions and benefit immensely from them. 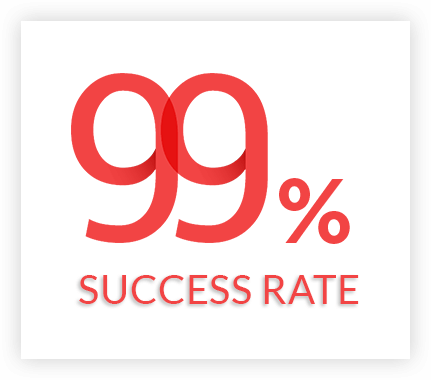 This can be seen from the fact that every one of our sessions is given a 9.3+ rating by the attendees every week! The most comprehensive prep course for the GMAT. Period. If you have a Q44 and a V32 in your prior attempt, we guarantee a Q47 and a V36. 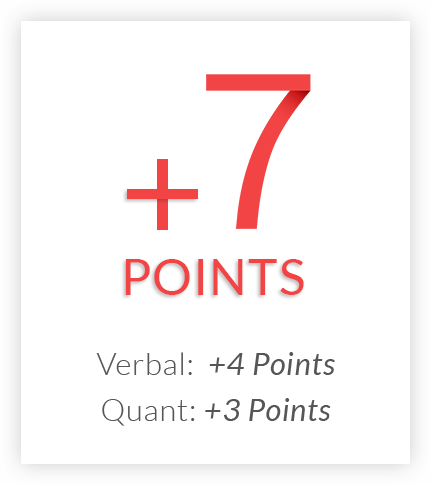 Even when your starting scores are Q45 and V37, we guarantee a Q48 and a V41. GMAT Live Prep is the only course in the world that dares to guarantee a 7-point score improvement. Please note that this is a money back guarantee! And not only this.. We have delivered on this guarantee. For the 2,220 who have registered for GMAT Live Prep between July 2015 and Feb 2017, we have issued just 2 refunds. With more classroom hours, higher success rate, and better instructors, it is not a surprise that GMAT Live Prep is the world’s most reviewed course on GMAT Club. 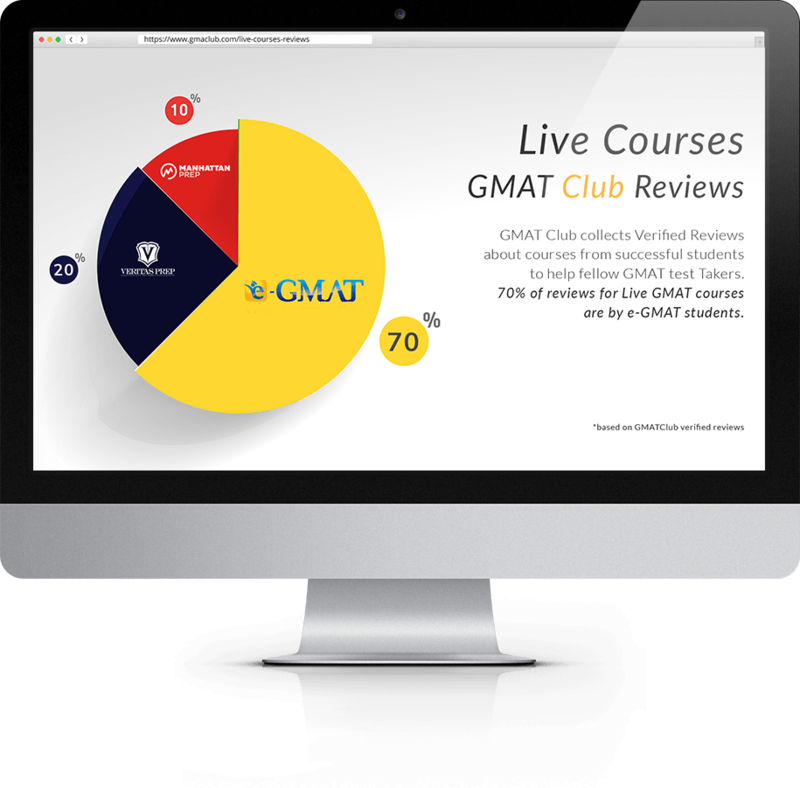 More than 70% of all reviews for Live courses by GMAT Club members have been for GMAT Live Prep. Whether you are starting at a 20 percentile or a 70 percentile, whether you have one month or 3 months to prepare, whether you are looking for a 200-point improvement or the final 60-point push to achieve your target score, we have built tools that can help you design your own personalized study plan. To improve from 600 to 700, should you focus a majority of your time on Sentence Correction or Algebra? It depends on your current state of preparation. Ability quizzes will give you those precise starting points. Taking your current state and your target score as inputs, GMAT Planner tool allows you to design the most efficient path to be taken in order to approach your goal. Through the strategy sessions, learn how to create your personalized study plan and how to most effectively utilize the tools we provide. We conduct two strategy sessions every month and also provide you the recordings of these sessions as soon as you enrol. We want you to love our courses. Try GMAT Live Prep for a week. If you don’t think this is the right course for you, we will be happy to issue a full refund. No Questions Asked! !